Sick of Note 9 news yet? No? Good, because we have some more! SamsungMobile.news tweeted about yet another internal feature of the upcoming Galaxy Note 9. Nothing really exciting this time, but a curious tidbit nonetheless. According to the tweet, the new phone will have copper tubes spreading under almost half of the device's back panel. Considering the Note 9 will have a 6.3-inch display and some bezels, that's a lot of cooling. One possible reason for Samsung's decision to use valuable phone real estate for cooling is that the Galaxy Note 9 is rumored to allow desktop experience without the need for a dedicated DeX docking station. 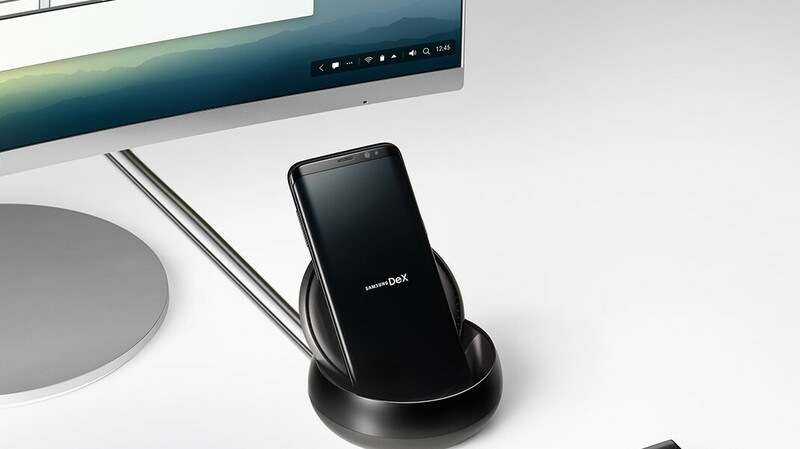 Besides the ports that let you connect your Galaxy device to an external monitor and peripherals, both of Samsung's solutions – the DeX Station and DeX Pad have cooling fans as an additional feature. This allows the smartphones to work for an extended period of time without overheating, but if the Note 9 is to be able to do the same without fans keeping its temperature in check, it makes sense to have a beefier cooling solution. There will be one limitation of the direct connection, however, users will be able to use a maximum of 5 applications at the same time, down from the 20 you can have opened while the device is on a DeX dock. Of course, the improved cooling will be great when using heavy applications for a long time, especially during a "heated" session of Fortnite. This is probably one of the last few pieces of the Galaxy Note 9 puzzle we're putting together before the official announcement on August 9th. Seems like they are going all in for this monster. It looks like they're trying to punctuate this moment as the flagship's pinnacle especially in light of the rumors which hint at the S Line and Note Series phones being combined in some fashion. I don't think they should combine it, but if it is going to have the same basic hardware, they should release them all at the same time. Note phones used to have updated hardware but now, since QC slowed their update schedule, it has the same thing as the earlier phones. Even the camera is the same now half a year after. So maybe they'll combine the release of all versions and maybe do away with the plus variant. Honestly thinking of buying one this year, but last time I wanted to buy one it exploded. So hoping it will go better this time lol. I felt that consumers rather liked the biannual releases of the separate lines. Either way, it's out of consumers' hands for now come what may. Up until 2017 I would buy the Plus-model S phone and the Note. I did this too in 2013 and 2014 buying the Note 3, Note 4, Note Edge and the S4 and S5. I retain all of my old devices and these that I've mentioned all still work and see use from time-to-time. I felt that consumers rather liked the biannual releases of the separate lines. Either way, it's out of consumers hands for now come what may. Up until 2017 I would buy the Plus-model S phone and the Note. I did this too in 2013 and 2014 buying the Note 3, Note 4, Note Edge and the S4 and S5. I retain all of my old devices and these that I've mentioned all still work and see use from time-to-time. Goodbye, DeX Pad you'll be missed. Will be good for quick tasking I guess but I'm not getting rid of my DeX hardware as I want keyboard, mouse, etc. That should be good news to gamers who don't want throttling. That's probably why they decided to try to market it as a gaming device as well. We'll see what the screen refresh rate is first though. I like the high side bixby button so it doesn't get bumped as much. If they are smart they'll let us remap it, which could be extra nice for gaming as well if it can be set as a trigger.